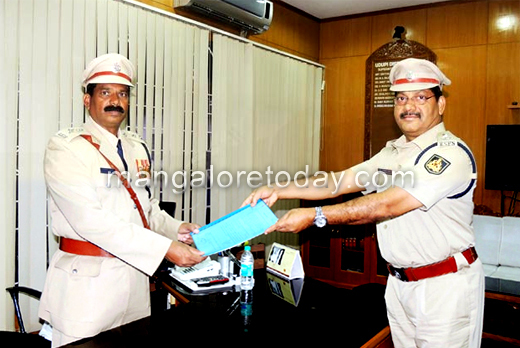 Udupi, Aug 12, 2014: P Rajendra Prasad on Monday August 11 took charge as the new superintendent of police (SP) of Udupi district. He replaceD Dr Boralingaiah, who was transferred as the SP to Davangere earlier this month. Rajendra Prasad has served as SP in Chamarajanagar. He was promoted to the IPS rank in the year 2013. Additional SP Santosh Kumar, Karkala ASP Annamalai, Udupi DSP Prabhudev Mane, DyP Kundapur C C Patil and other officials were present at a simple official ceremony .